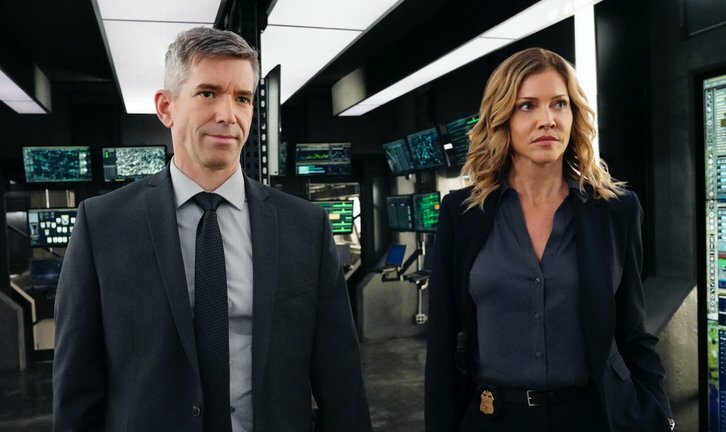 “The B-Team” – Hondo reunites with an old flame, FBI Special Agent Elle Trask (Tricia Helfer), when the SWAT team works with the FBI to bring in a separatist group with weapons-grade plutonium. Also, the SWAT team worries they will lose an annual law enforcement charity competition to the Los Angeles Fire Department, on S.W.A.T., Thursday, Feb. 7 (10:00-11:00 PM, ET/PT) on the CBS Television Network. Tricia Helfer guest stars as FBI Special Agent Ellen Trask. Former professional football players Willie McGinest, Eric Dickerson and James Harrison star as members of the Los Angeles Fire Department.